Our first full day in The Netherlands. 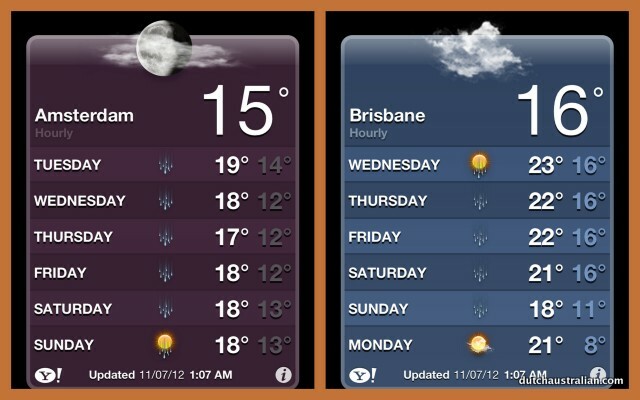 Woke up to this weather: Brisbane winter, Dutch summer, can you believe it? After being excited about having Fillet Americans on his dark brown bread for breakfast…. …..Bas arranged for inschrijven at the local gemeentehuis. I had no idea why we needed to do this at first so was glad he’d done the research. However I’ve always been naturally curious and ask a lot of questions. A great thing about writing a blog is I’m even more interested in learning things in depth so I can explain things in my posts. Though I am technically a Dutch citizen (more in other posts later about that an my inburguring several years ago), I look at things from a “foreign” perspective which I quite enjoy. 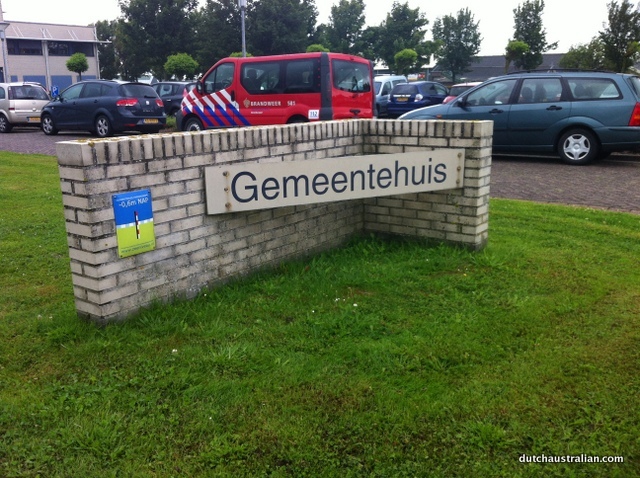 So to explain the basics – every person living in The Netherlands must register with their local gementee within 5 days of arriving if you plan on staying more than 4 months. Though I’m sure it’s covered in several places, my google search found that the Breda gementee explains it all quite well on their home page. This is in Dutch so for those who speak only English, you may like to do your own research, or comment below and I may work on translating this into a separate post. Please note I am providing this information from a personal perspective and things can change regularly so make sure you research your own situation in depth if you are moving to The Netherlands. Anyway, in fitting with the Dutch being very organised, I think this is a good way to require people to register to keep track of the majority of the population, which can be a positive thing in many ways – if you’re here legally! Most importantly it allows for you to gain a Burgerservicenummer (citizens service number) which is the key for things like health insurance, schooling and more as well as any benefits you’re entitled to. Our daughter, Isabella, who was born in Australia, has Dutch citizenship and a passport (which we applied for in Australia) but as she’s not lived here before we need one issued before she has access to these services. This can take a week or two. If you are not a dutch citizen, you follow a different process and register with the IND (immigration department) before the Gemeente. The actual registration (inschrijving) took us around an hour. We had a lovely lady who was patient and helpful and even offered us tea/coffee and the children some spek! (marshmallows). We had to do quite a lengthy form for each person but wasn’t too difficult. 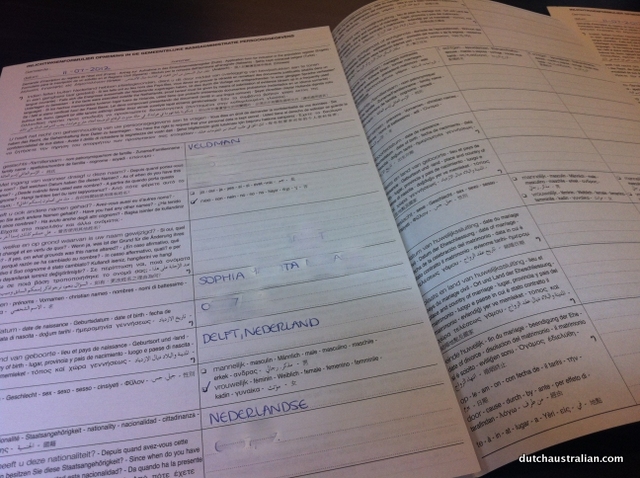 My dutch still served me quite well – I was even able to correct my native dutch speaking husband on a few questions! There is an english translation for all the questions too but I found I didn’t need this, all those years of practice when I lived here before were still there. Next, we took the children back to Oma and Opa and Bas and I went to do some boodschappen (grocery shopping) at Albert Heijn. 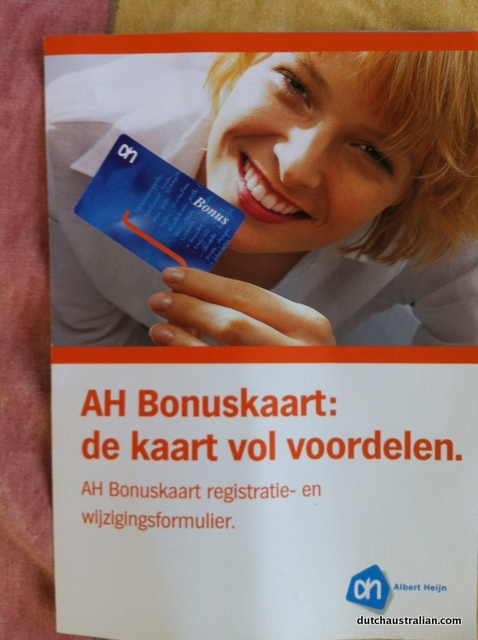 Quite funny actually that again I, originally an Aussie, had learnt a lot during my few years here before and saved us quite a bit on our spend by making sure we immediately registered for the AH Bonus Kaart! (as many specials are only for bonus kaart holders). 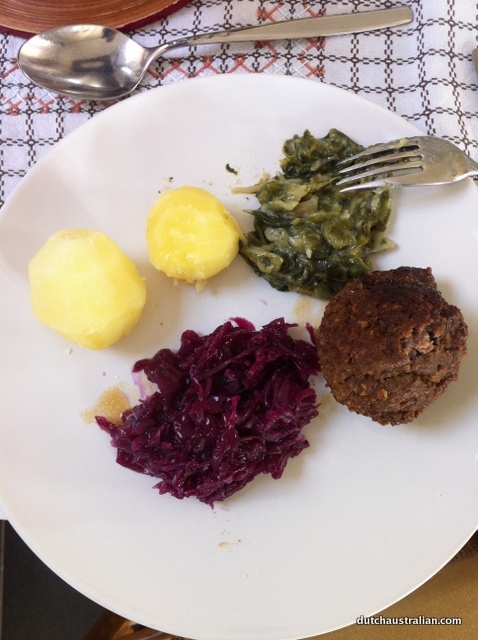 We treated ourselves to patat on a terrace afterwards which was lovely (though I didn’t have a camera with me!). We sat not far from where we were married in Schagen and watched all the activity. 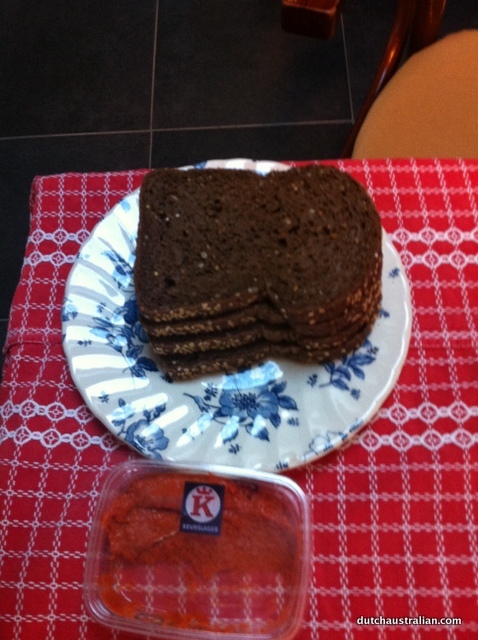 Then it was back home for a good Dutch meal, can you identify everything on this plate? Early to bed…seem to have escaped any serious effects of jet lag but still get tired quite early. Girls have adjusted pretty quickly to going to bed in daylight…their bedtime is around 8pm and it’s light until around 10pm at the moment. So ended our first full day in The Netherlands!